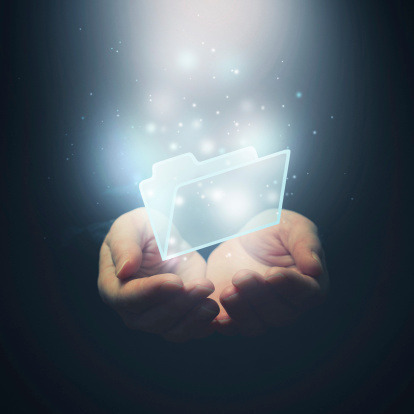 Are File-Sharing Failures Foiling Your Business? The proliferation of mobile devices has put remote collaboration among coworkers at an all-time high. Yet 60 percent of sales pros find it difficult to collaborate on documents with customers, partners, and prospects, and more than 40 percent of employees face hurdles connecting on projects and files with co-workers inside their own company, according to results of a recently published survey. Soonr, a Silicon Valley-headquartered company that provides an on-the-go file sharing solution, conducted the survey of 1,075 small and medium businesses last summer. You might see your own company’s obstacles reflected in the results, which showed Soonr that ample opportunities exist for businesses to adopt its technology. Ninety percent of respondents told Soonr that they are in the habit of accessing business files while away from the office, and 72 percent said that “anytime access” to work documents is important. Yet more than 75 percent said their company does not have any kind of approved file-sharing service, while nearly as many told Soonr that they would get more work done outside the office if it were easier to securely collaborate on projects from their mobile device via a file sharing service. The problem transcends all ranks within organizations. Forty percent of CEOs have missed important deadlines because they could not access files remotely, and 58 percent of IT pros have had trouble downloading large documents, the survey showed. Perhaps more disconcerting to small employers: 83 percent of employees are worried about the security and privacy of files. As many as 25 percent have lost data while attempting to download business files, 27 percent are uncomfortable sharing files via email, and 31 percent aren’t sure files are secure when shared in via the cloud. Employees also expressed that they want more than just the ability to view files remotely. Nearly one-fourth have had trouble editing documents on a laptop, desktop, or mobile device, and 15 percent have lost a sales prospect because software differences prevented them from collaborating on files. Of some consolation to tiny shops: the survey showed that file-sharing problems aren’t isolated to the smallest businesses. Of the 1,075 survey respondents, 59 percent came from companies with more than 100 employees, and 34 percent worked for employers with more than 500 employees.